Melonie Bayl-Smith lives at the cutting edge of sustainable design and architecture. Her firm, Bijl Architecture, has won numerous awards for its unique constructions and for integrating concepts of nature and sustainability into the everday lives of their clients in a unique way. In this wide-ranging discussion, we talk about the nature of architecture and how to embrace sustainability throughout the design and construction phases of a building project, as well as the future of design and how technology might change the way we look at the world we live in. – What sustainable architecture and design innovation actually mean. – The interrelationship between the pillars of sustainable design; aesthetics, functionality, economic and social. – How architects think about the future users of the designed space. – The impact of design, urban renewal and shared resources on communities. – How public is ‘public’ space? – The role of technology and early adopters in design innovation. – What to look for when building, buying or renting an office space. Paul Galvin is Chairman and Chief Executive Officer of SG Blocks, Inc., a leading innovator and designer of container-based structures. Founded in 2007, SG Blocks utilizes code-engineered cargo shipping containers to construct and provide safe, strong and green structures and environments.Galvin oversees all aspects of SG Blocks, from container sourcing to business development. Since inception, Galvin has played a key role in the Company’s growth and expansion.SG Blocks has grown in little more than a decade to count clients that are among the most recognized names in the country, such as Lacoste, Puma, Mini Cooper, Aman, Taco Bell, Marriott, Starbucks, Equinox and several branches of the US military, among other organizations and corporations.IN THIS EPISODE, YOU’LL LEARN:Why using recycled materials can lead to lower-cost, faster and greener constructions.How the SG Blocks construction process works.How clients and communities have responded to SG Blocks constructions.How high you can build with shipping containers, andA whole lot more!LINKS AND RESOURCES MENTIONED IN THIS EPISODE: SG Blocks Thanks for Listening!Please subscribe to our show on iTunes or Stitcher. This week we had the formidable Stephanie Devine on the show. Stephanie’s determination and grit is unparalleled. We explored her journey from experiencing breast cancer and not being able to find a soft, organic cotton bra with no underwine to a force to be reckoned with as she doggedly attempted to create the world’s first zero waste bra.Yes that’s right, a zero waste bra. That means, once you’ve done with it, it can be entirely composted.The Very Good Bra is still taking pre-orders until 16 July 2018 so get in quick!In this episode you’ll learn:– What inspired Stephanie to go on this challenging journey– All the places in the world she had to turn up in person to get the job done– All about Tencel and why it’s the only material the could be used– How to run an ethical crowed sourcing campaign– The strategies Stephanie used to smash her Kickstarter goal in 48 hours– The problems Stephanie has run into– How exactly the bra is zero waste– What’s next in this dream for StephanieLinks mentioned in this episode:– The Very Good Bra https://theverygoodbra.com/– Cradle to Cradle https://www.c2ccertified.org/– In the Beginning PR (Ethical PR) https://www.inthebeginningpr.com Thanks for Listening!Please subscribe to our show on iTunes or Stitcher. Michael P Vandenbergh is the David Daniels Allen Distinguished Chair of Law at Vanderbilt University. He is also Director of the Climate Change Research Network and Co-director of the Energy, Environment and Land Use Program.Michael talks to us about his new book: Beyond Politics: The Private Governance Response to Climate Change.Far from a rallying cry to Governments to act when they’ve spent years and decades ignoring the problem, Beyond Politics, as the title suggests, goes into how the private and household sectors can combine to make a huge impact in mitigating climate change.If you have ever wondered how you, as in individual or a leader in your business, can become part of the solution to climate change, this book is full of inspiring knowledge for you.IN THIS EPISODE, YOU’LL LEARN:Why Governments have traditionally struggled to tackle this problem.Why we can’t expect any meaningful change from politicians.The magnitude of impact that small changes, at the household level can make to tackling the problem of climate change.How businesses can (and are already) help much more than bureaucrats.Why cleaning up your business practices can actually drive profitability,And much more. LINKS AND RESOURCES MENTIONED IN THIS EPISODE:Michael VandenberghBeyond Politics Thanks for Listening!Please subscribe to our show on iTunes or Stitcher. Jessica Kelly has spent the last few years cracking a major problem in the fashion industry – how to ensure your manufacturing is done ethically, while still maintaining your viability as a business.This is an issue that has plagued us, as well as many of our guests in the past.Jess identified this problem on her travels to the third world, and combined these experiences with her background in fashion to develop Thr3efold Ethical Fashion Brokers.Thr3efold fills the gap between smaller-scale fashion brands and the factories, by working directly with manufacturers to ensure better standards of work, safety and welfare for factory employees. In this show, Ross picks her brain about how they do it. IN THIS EPISODE, YOU’LL LEARN:What inspired Jessica to start Thr3efoldHow Thr3efold selects and audits its partnersWhat advantages companies have found by starting to produce more ethicallyWhat are the major challenges facing the fashion industryWhat benefits the workers have enjoyed as a result of their involvement with Thr3efoldAnd much more! LINKS AND RESOURCES MENTIONED IN THIS EPISODE:Thr3efold Thanks for Listening!Please subscribe to our show on iTunes or Stitcher. This week, we are honoured to be joined on the podcast by Natasha Milne of My Home Planet.Natasha is the author of 101 Reasons to Get out of Bed – an inspirational book comprising inspiring and uplifting tales from 101 amazing individuals, some of whom you know and some you don’t. The one thing they have in common is that they all have positive, uplifting stories to tell about why they get out of the bed every morning.If you feel sluggish and that maybe the future isn’t as bright as it used to look, this is the episode for you.IN THIS EPISODE, YOU’LL LEARN:Why Natasha decided to write this book, and what it’s done for her outlook on lifeHow Natasha managed to get some super high-profile celebrities and global leaders to contributeWhy it is that little things can make a big difference to your outlook on lifeHow important it is to focus on what we can control, and how even this can make a big difference to the world.LINKS AND RESOURCES MENTIONED IN THIS EPISODE:101 Reasons to Get Out of Bed101 Reasons on Richard Branson’s BlogMy Home Planet Podcast Thanks for Listening!Please subscribe to our show on iTunes or Stitcher. Liza Mosseiva is a social business veteran and co-founder of GlobeIn, a Silicon Valley company revolutionising the subscription box industry with its mission to deliver joy by empowering and connecting remarkable, remote artisans to mindful customers.GlobeIn was inspired by Muhammad Yunus, Nobel Peace Prize Laureate and the ‘father’ of microfinance. Like Yunus, GlobeIn is a big proponent of the idea that businesses can – and should – exist not just for the purpose of making money but also for the purpose of solving social issues.GlobeIn works to empower remarkable artisans in remote areas with the tools to build sustainable businesses. It does this by providing them a platform to sell their products at scale, while giving consumers a unique opportunity to access some truly amazing, one-of-a-kind small batch products.IN THIS EPISODE, YOU’LL LEARN: All about Liza’s journey to the foundation of GlobeIn.How the GlobeIn team source their products from small producers and artisans all over the world.How GlobeIn assures the quality of its handmade products.All about the challenges of dealing with production challenges.How the subscription box model can support producers achieve long-term economic gain.How GlobeIn keeps its products interesting and relevant, month after month.What impact they have already been able to have on their suppliers’ lives. LINKS AND RESOURCES MENTIONED IN THIS EPISODE:GlobeInGrameen Bank Thanks for Listening!Please subscribe to our show on iTunes or Stitcher. Christina Zipperlen is the founder and designer of the ethical jewelry & clothing brand Ananda Soul. Christina never considered herself a business woman but rather an artist and a yogi. When she moved to Bali in 2008, her intentions were to share her own encounters with spirituality, her insights on overcoming body image issues and the importance of living sustainably and in deep respect of the planet. Ananda Soul was born as the result of her expression of those values in form of wearable art.Today, Ananda Soul ethically manufactures beautiful jewelry, clothing and accessories for sale in its store and to customers all over the world. Most impressively, Ananda Soul is a product of the set principles that have been in place ever since day one and which drive every business decision Christina takes.IN THIS EPISODE, YOU’LL LEARN:How Christina has managed to keep her business aligned with her principles and mission.Why Christina has chosen to partner with local community organisations to make her community better.How Christina is using her business as a tool for social good.What consumers can do to make the world a better place.Why purpose-driven business is always better than profit-driven business.How Christina created a novel way to get street kids into school. LINKS AND RESOURCES MENTIONED IN THIS EPISODE:www.anandasoul.com Thanks for Listening!Please subscribe to our show on iTunes or Stitcher. Danny Almagor is a modern-day Renaissance man. Along with his wife, Berry Liberman, Danny founded ‘Small Giants’ – Australia’s first B Corporation – to create, support, nurture and empower businesses and entrepreneurs that are shifting us to a more socially equitable and environmentally sustainable world.Small Giants has founded and invested in a range of ethical businesses, including:Tom Organic,The School of Life,Dumbo Feather Magazine,The Cape Ecovillage,Beyond,STREAT, and many more.Danny was also a founder of Engineers without Borders Australia. In addition to Danny’s numerous business achievements, he is the Founding Social Entrepreneur in Residence at RMIT and sits on the Advisory board for the Gross National Happiness Centre in Bhutan.In 2016 he was awarded the Order of Australia. He also set a Solar car record: for travelling from Darwin to Adelaide. IN THIS EPISODE, YOU’LL LEARN:How Danny manages to fit it all in (you may not like the answer).What motivates him to work so hard.Why Small Giants is structured as a B Corporation.What Small Giants looks when making an ethical investment.How to get started in ethical entrepreneurship.How Danny got involved in the Bhutan Gross National Happiness project.And much more.LINKS AND RESOURCES MENTIONED IN THIS EPISODE:Small Giants (http://www.smallgiants.com.au/)The List of Small Giants Portfolio Companies (http://www.smallgiants.com.au/family-of-businesses/)Gross National Happiness Centre, Bhutan (www.gnhcentrebhutan.org) Thanks for Listening!Please subscribe to our show on iTunes or Stitcher. Lorraine Sanders is the host of the popular ‘Spirit of 608’ Podcast, where she supports empowering women & building female thought leadership at the intersection of Fashion, Entrepreneurship, Science and Technology.We talk with Lorraine about the ins and outs of building ethical businesses, how to get started in ethical business – whatever your industry – and how bootstrapping businesses can attract free PR to help them achieve fast growth. 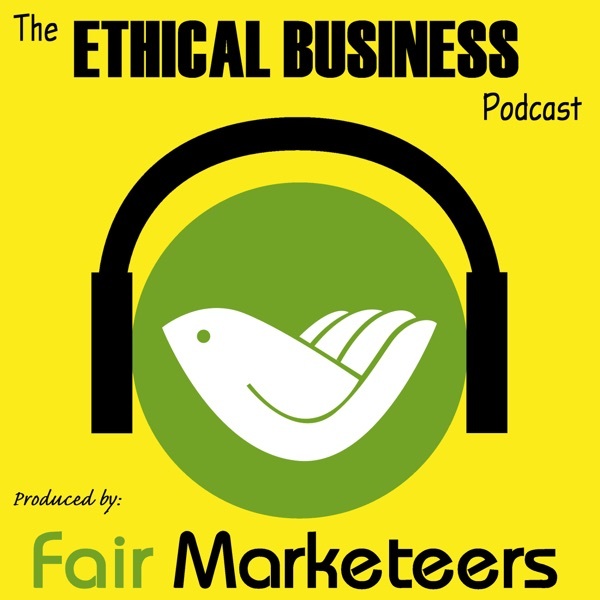 IN THIS EPISODE, YOU’LL LEARN:– What it takes to build an ethical business today– How to get started in ethical business– What makes a good podcast guest– How to attract free PR for the good work you’re doing– The latest trends in sustainable and ethical business and consumerismLINKS AND RESOURCES MENTIONED IN THIS EPISODE:– Spirit of 608 Podcast Thanks for Listening!Please subscribe to our show on iTunes or Stitcher. Megan Kitt is the founder of Tuli, an ethical business that is working to improve womens’ lives in Uganda by bringing their traditional paper jewelry products to the global market.Tuli’s mission is to empower resourceful, hard-working people in Uganda to earn long-term, sustainable incomes and, in doing so, fight poverty.Tuli uses the fashion industry to bring a large market to women in Uganda who would otherwise have little access to buyers. They work with our partners in Kampala to create designs relevant to today’s fashion market.Megan’s background is as a model and freelance journalist, which means she possesses a unique blend of experience that is perfect for combining social enterprise with fashion.Even better for us, her perspectives make for a deeply engaging interview.IN THIS EPISODE, YOU’LL LEARN:Why Megan left her glamorous international career to start a grassroots business in a very poor country.How Megan has trained her artisans to develop products that appeal to the Western market.How Tuli ensures consistent product quality.How Tuli has managed to develop a network of bricks and mortar retailers stocking their products.What are the most important elements of building a business that truly helps lift people out of poverty.How Megan built Tuli from an idea and a passion into a thriving business concern.Why it’s important to follow your passion in life.LINKS AND RESOURCES MENTIONED IN THIS EPISODE:Tuli Thanks for Listening!Please subscribe to our show on iTunes or Stitcher. Dave Willis is the co-founder and chief strategy adviser at Clarius Mobile Health; a company seeking to revolutionise the medical imaging industry by bringing affordable, durable devices into the hands of those that most need the help. Clarius’ flagship product is its handheld ultrasound device, which is battery powered and connects wirelessly to a smartphone or tablet, using the computing power of the phone or tablet itself. Through use of an app, doctors and nurses in the world’s most unforgiving locations can finally see what’s underneath the skin. This invention has huge implications in all areas of internal medicine, not least maternal health where problematic births can be predicted and odds of survival increased in the world’s poorest regions.IN THIS EPISODE, YOU’LL LEARN:– About Dave’s background and why it has brought him into this unique area of medical engineering.– All about the device, how it works and how it was developed.– What problems the device is designed to solve.– How small innovations can make a big difference in the developing world.– And much more.LINKS AND RESOURCES MENTIONED IN THIS EPISODE:– Clarius Mobile Health Thanks for Listening!Please subscribe to our show on iTunes or Stitcher. Chris Gove is one of the founders of the Saltwater Brewery – a Florida-based brewery that is turning the world of eco packaging upside down with its invention of the ‘edible six pack rings’.Tackling the age-old problem of six pack rings that pollute the oceans and strangle innocent sea life (are there other kinds?) the Saltwater Brewing Co joined forces with an engineering firm and an advertising company to develop and launch their incredible product.Unlike traditional six pack rings, the edible six pack starts to biodegrade as soon as it enters the ocean, turning from useful beer carrying device into harmless organic matter in a few days. And, even better, it’s produced from waste products from beer production.IN THIS EPISODE YOU’LL LEARN:– Why and how the Edible Six Pack came about.– What it is, how it’s made and what happens to it after you’re finished with it.– Why the ocean is important to Chris and his partners.– Why so many people are interested in this innovation.– How environmentalism fits the ‘Saltwater’ ethos.– And much, much more!LINKS AND RESOURCES MENTIONED IN THIS EPISODE:– Saltwater Brewery– Saltwater Brewery on Twitter– Edible Six Pack Rings on Youtube Thanks for Listening!Please subscribe to our show on iTunes or Stitcher. Woodfolk accessories is the business and passion of Julia Denes, an Australian entrepreneur who has built a thriving wooden jewelry business that not only makes beautiful pieces but helps support sustainable development among local artisans in Nepal.The business’ core tenets are honesty and compassion, emphasizing harmony with natural materials and partnering with local women, families and cooperatives to develop unique, ethical and fashionable wooden jewelry. IN THIS EPISODE, YOU’LL LEARN:– Why Julia made the switch from producing fine jewelry to ethical wooden jewelry– How she found her artisans– How she pays her artisans– Why ‘trade’ is more important than ‘aid’– How she sources her ethical materials– Why building a relationship with your employees – as well as your customers – is key to success– The impact of the recent earthquake in Nepal on her business– Why an ethical, natural business is important to her– How Julia supports communities in need– Customers’ responses to the ethical focus of the businessLINKS AND RESOURCES MENTIONED IN THIS EPISODE:– Woodfolk Natural Accessories– Woodfolk on Facebook Thanks for Listening! Rolfe Larson is a passionate expert in social enterprise, who has spent his long career helping not-for-profit businesses find ways to make money and improve the world.At the same time, Rolfe has spearheaded efforts to educate consumers about making purchasing decisions that have a positive impact on their world – buying from businesses that use their profits to do good.Most recently, he launched the ‘Social Impact App’, which allows you to search within cities for the right businesses to buy from – those that support local groups or charities to achieve great things with the money you spend. IN THIS EPISODE, YOU’LL LEARN:– What is meant by a ‘social enterprise’.– How Rolfe helps social enterprises develop.– How social enterprises balance the social side against the need to make profits.– How to have a positive impact the next time you buy something.– Changes in social entrepreneurship over time.– Developments in consumer behavior and the move towards purchasing for impact.– How to align your values with your consumption.– Why entrepreneurship is within all of us.LINKS AND RESOURCES MENTIONED IN THIS EPISODE:– Rolfe Larson and Associates– The Social Impact App– Rolfe’s Book: ‘Venture Forth: The Essential Guide to Starting a Moneymaking Business in Your Nonprofit Organization’– Women’s Bean Project Thanks for Listening!Please subscribe to our show on iTunes or Stitcher. Shannon O’Donnell is living a life most of us only dream of.For the past seven years, she has been traveling the world and sharing the stories of people and places that you wouldn’t otherwise hear.Venturing off the beaten track and focusing on longer, deeper relationships with her destinations has allowed Shannon access to incredible experiences that she shares with tens of thousands of devotees on her popular blog, A Little Adrift.In 2013, National Geographic rewarded Shannon for her terrific storytelling ability by naming her as a ‘Traveler of the Year’. This honor has opened many doors and allowed her to reach an even greater audience, but has not moved her from her firmly-held principles.In this interview, we delve into some of those, as we try to get to the heart of what motivates Shannon to keep exploring and uncovering new, inspirational, stories.IN THIS EPISODE, YOU’LL LEARN:– How Shannon has been traveling the world for seven years.– Why travel continues to be special to her.– How she became National Geographic ‘Traveler of the Year’.– Why she is passionate about uncovering local businesses, entrepreneurs and social enterprises.– What stories she feels are important to amplify.– The story behind her ‘Grassroots Volunteering’ database and how she provides this service for free.– What Shannon would like her legacy to be.– The sense of responsibility she feels as a result of her ‘good fortune of circumstance’.– How she transitions to travel.– The principled approach she takes to advertising on her blog.– What’s next.LINKS AND RESOURCES MENTIONED IN THIS EPISODE:– National Geographic Traveler of the Year– A Little Adrift (Shannon’s Blog)– Grassroots Volunteering– Akha Ama– Grassroots Volunteering Ambassador’s Program– Tim Ferris’ 4 Hour Work Week– Shannon’s Book Thanks for Listening!Please subscribe to our show on iTunes or Stitcher.